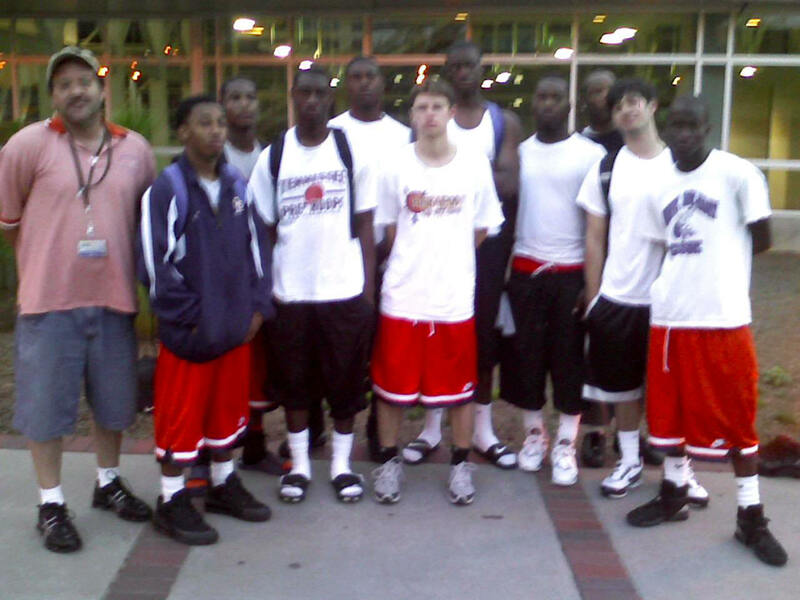 Old School Photo: MemphisHoopers.com 17's at Las Vegas in 2005. 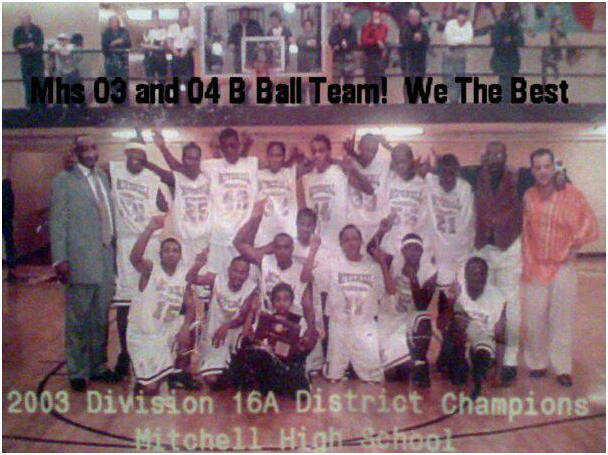 Mitchell @ Rice University in 2004.. Look at Jerry Johnson jr. between Brandon and Thad. 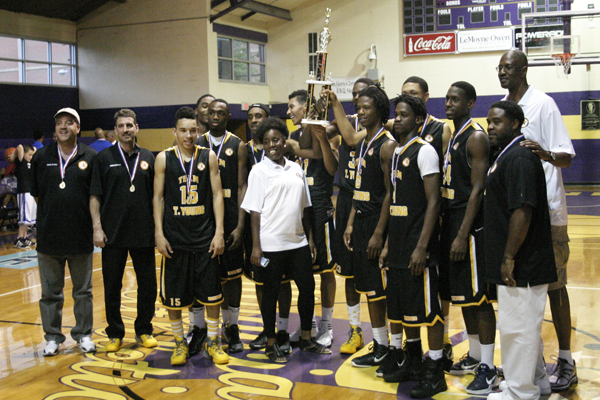 MemphisHoopers.com win Future 150 in Atlanta, Georgia for the second year in a row. 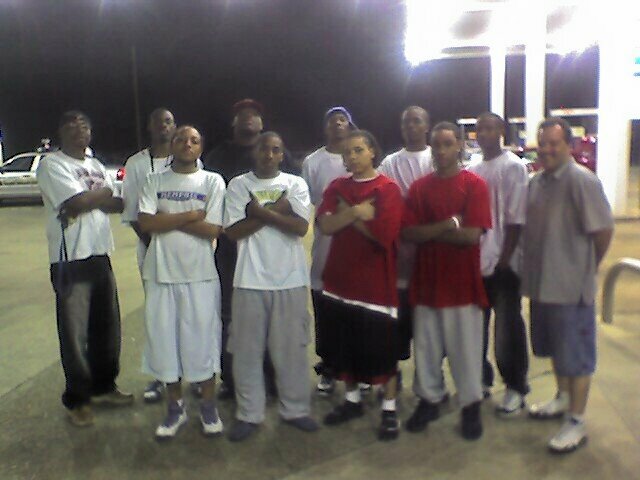 MemphisHoopers.com 17's at Wallace Prather in Atlanta, Georgia 2007. MemphisHoopers.com 17's at Nike Main Event (2004) in Las Vegas, Nevada. 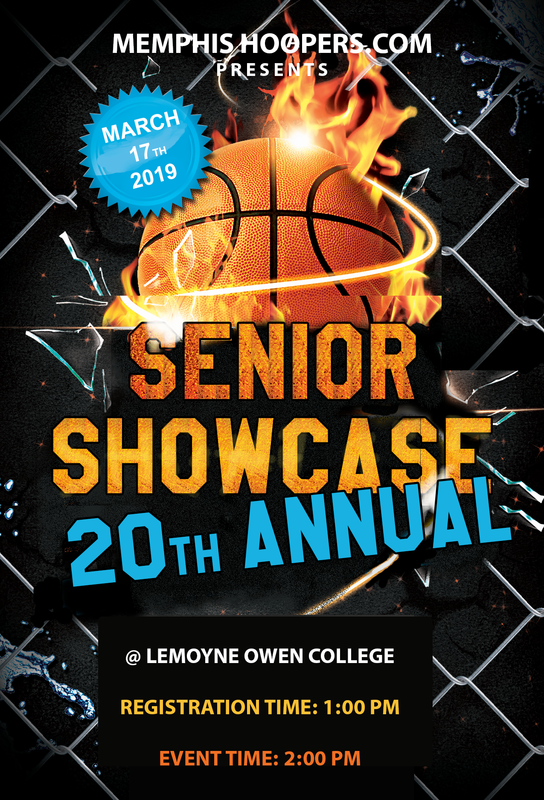 March 17, 2019 - Senior Showcase Registration: $45.00. 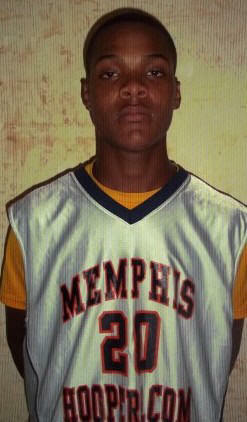 First let me introduce myself as Harold Rivera, organization director of MemphisHoopers.com (www.memphishoopers.com). 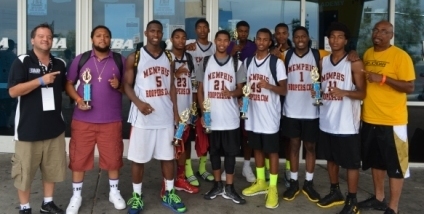 MemphisHoopers.com has fielded an unsigned senior team since the 2004 summer circuit season. 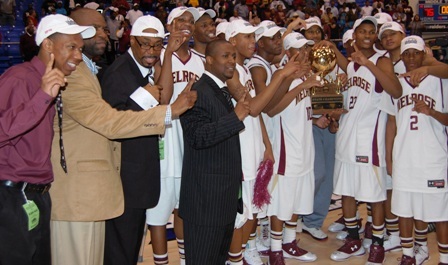 You can view the history of Memphis Hoopers thru the site on the archives link which has been in existence since 1999 (acghoopers.com from 99-2002) or scroll down to view past team participants. 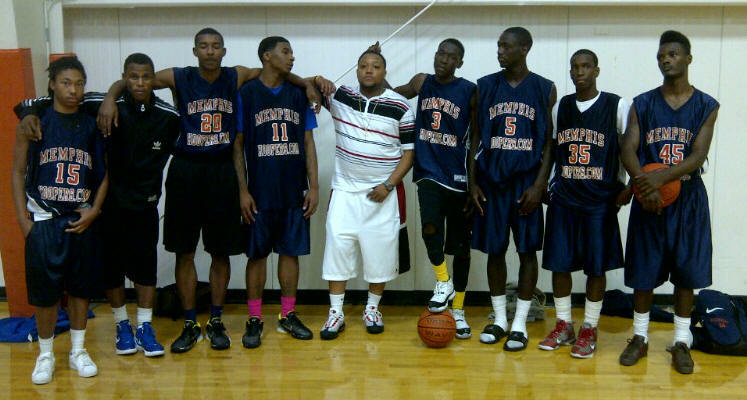 There has been hundreds of young men in the MemphisHoopers.com organization that have gone on to further their educational dreams with basketball as a platform for scholarship opportunities from all levels: Division 1, 2 & 3 - JUCO to NAIA. All games are videoed and placed on numerous platforms respectively for viewing for future reference. A lot of seniors are overlooked during their high school basketball career and are definitely college ready to play on the next level, what level is determined by them and how serious they are - Remember BASKETBALL IS NOT FOR EVERYONE. 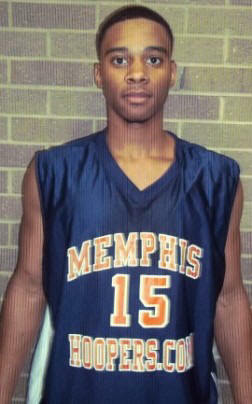 MemphisHoopers.com is a platform for these young men to display their talents to schools around the country. Hoopers staff attends the largest national tournaments around the country from Real Deal, Big Foot Hoops, Elevate Hoops, Spiece Hoops, Under Armour Invitational to name a few and has strong relationships with the tournament directors to be placed in great pools and facilities accordingly so coaches can view their play, if not then how will college coaches know what they can do. Remember parents and young men, how many coaches came to your high school games during the season, not many if any depending on school performance, another kid that they came for that is making noise as for being ranked and so on. During the process and short summer circuit basketball season these young men that make the roster will fall off as they sign with respected schools. 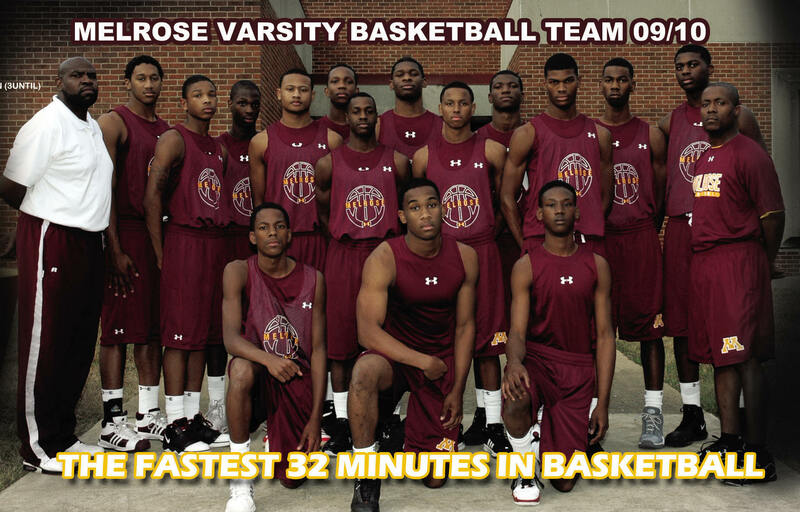 MemphisHoopers.com Travel Team roster will never have more than 9 players at one time so all players get their time on the court. This play is different than high school coached teams that restrict some kids potential due to different coaches philosophies. MemphisHoopers.com history speaks for itself with it's high signing rate respectively for not only seniors but for all. At the same time Hoopers is a feeder team for Team Thad! The young men listed below, some have traveled with Team Thad depending on circumstances. 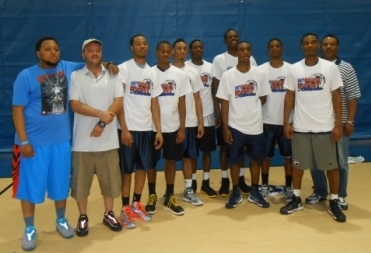 This event like the past years will be visited by top colleges around the region and country. 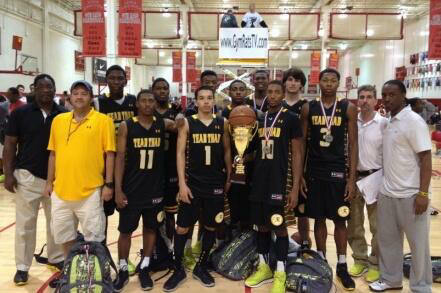 At the same time will be evaluated for the MemphisHoopers.com Travel Team 2016 to bolster their resume and garner more exposure in the limited April events. Other than Division 1 schools who are prohibited from attending events of this sort until live evaluation periods as sanctioned tournaments around the country later in the summer circuit season. 2012 breakdown includes a kid from Mitchell who no one ever know but blew up in one weekend. Right place at the right time! Some young men will be offered at this event as always!!!!! Click Below Parents to see How it WORKS!!! Same thing every year different kids and different parents!!!! 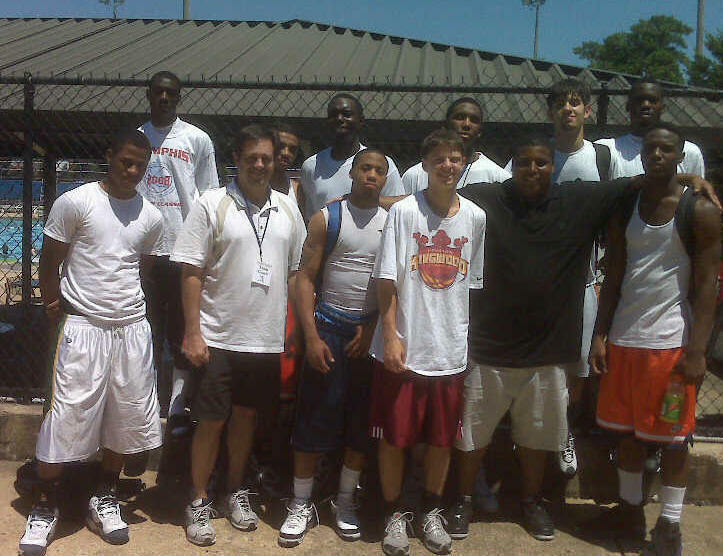 2005 Memphis Pump & Run was in Memphis for one year, coachedby Felton Young and led by Thaddeus Young, Pierre Niles, Wille Kemp, Brandon Powell, & Wayne Chism. 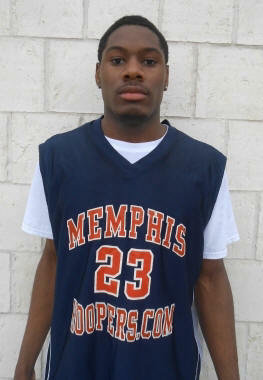 MemphisHoopers.com travel schedule for the 2013 summer includes trips to Birmingham, Alabama - Little Rock, Arkansas - Mobile, Alabama - Houston, Texas, Atlanta, Georgia, Indianapolis, Indiana, Las Vegas, Nevada and probably a local tournament and scrimmage game against nationally ranked Team Thad 17's for warm ups for the Unsigned Seniors. The purpose is to give these young men the most opportunities available to excel at the next level. You can register here for the event at this link. Click Here. 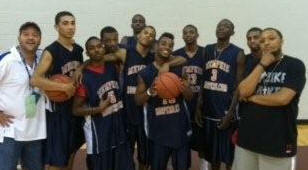 Former MemphisHoopers.com players from 2010 & 2011 season now at Motlow State College January 18, 2013 against conference rival Southwest College and made it to sweet sixteen of NJCAA National Championship in Hutchinson, Kansas. The event will be recorded and placed on multiple platforms for future reference. summer events in the country. MUS Summer Classic Stats (click here). courtesy of MUS staff. Who lead in what categories from total points, rebounds and etc. 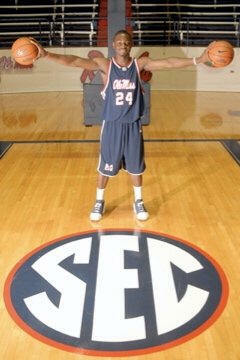 MemphsiHoopers.com Final 2012 Senior Rankings. TSSAA State Championship Breakdown: With a sweep in sight in Division A, AA, and AAA Memphis BTW loses to defending state champions Lake County on 15-30 from the free throw line and a Hail Mary shot to send the game into overtime, how free throws come back and haunt you. Memphis East wins by one over host school Murfreesboro. Memphis Central trounces Olewatah handily. Mitchell forces a matchup with defending state champions Liberty Tech in the final four. Postseason Action Breakdown: Memphis BTW defeats Humboldt to keep rolling in postseason action. Memphis East out rebounds Bartlett 20 - 9 in first half to build a double digit lead and coast to a solid victory for their first state appearance since 1996. Memphis Central with all the chaos in the offseason shrugs it off and advances for the first time since Jimmy Adams was at the helm, Coach Applewhite has these kids playing the best ball of the season and Andre Applewhite should of been a Mr. Basketball candidate regardless if TSSAA didn't nominate him. One more thing they were not even ranked all season until this past week by the Hoopers staff and we will be the first to say they did big boy things over there to overcome and mature big time. Mitchell after a 4 year hiatus returns to state with impressive wins down the stretch and the Most Improved Team of the year after just winning 2 games last year and winning over 20 clips this year, mmmm I wonder whose to blame, point the finger or bottom line just %(*&^ up!!!!! Hoopers Top Ten stayed the same pretty much with CBHS and Briarcrest changing spots. 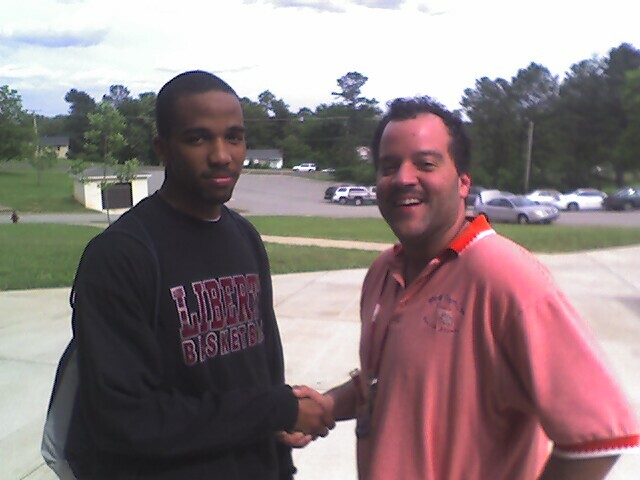 Trezevant entering the poll for the first time in Hoopers history since 1999. 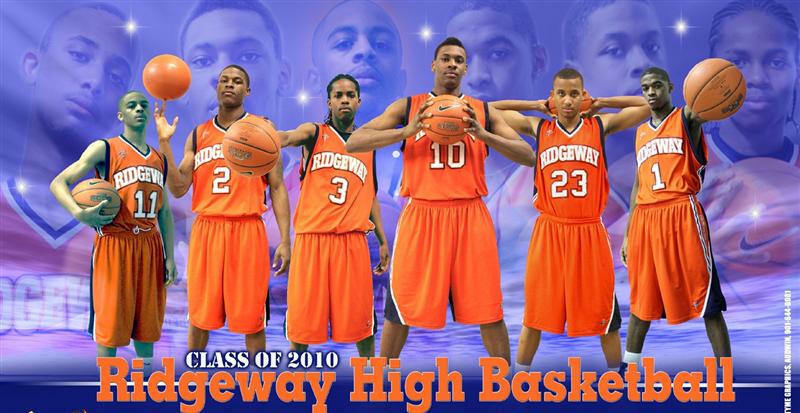 Ridgeway kept the number 1 slot and teams are very precautious in their scheduling this year. Simeon Career Academy visited Brighton and proved why they are ranked number 1 in the ESPN high school rankings with an solid outing against the Cardinals. Area News 12-14-11: Overton upends Craigmont 73-69 and at one time had over a 25 point lead in the second quarter. Craigmont didn't look like a ball club that will advance far in postseason action. Area surprise teams are Trezevant with the leading scorer in the city in Tyrone Wootten, this kid is smooth on offense and hard nose young man. CBHS with Coach Luckett doing what he does every year in and year out. have these young men believe in his system hands down. The purple wave snuck by me this year because the Hoopers staff usually has them on the radar but for whatever reason they are for real. 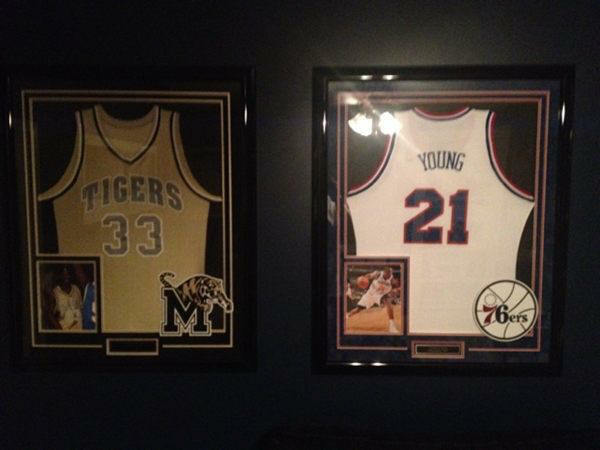 Below are 12 Division 1 coaches waiting on Thaddeus Young's college decision and you see why right above this caption. In a short three years, Coach Jermaine Johnson has Melrose in the record books with a astounding victory over the defending state champions White Station Spartans. Melrose deeply talented team was too much for the Spartans who missed two of their top scorers from scoring in double digits and much needed if any chance of winning. Tournament MVP Chris Jones (35 points and 5 steals) proved why he is a Tennessee commitment with his savvy ball handling, outside shooting when needed, and strong drives to the goal when called upon. 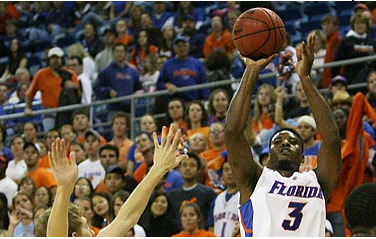 Jones shot 95% from the free throw line on 18-19 shooting and 57% from the field in another stellar performance. The game was a back and forth contest the entire game with 10 lead changes and 9 ties that started with the score being tied 16 all at the end of the first quarter. White Station led majority of the first half after Melrose being patient on offense scored first but the Spartans started the game with a 8-0 run after Melrose scored. Adonis Thomas shot extremely well 47% from the field and snatched a game high 13 rebounds to go along with 19 points in a double double performance. Melrose finally took the lead in the second quarter with a 1 minute left using full court pressure that rattled the Spartans a little. Melrose went into the break up 35-33. White Station was killing Melrose on the boards (19-10 first half advantage) due to Melrose big man and Northern Illinois signee Nate Rucker breaking his ankle in the previous quarterfinal game against Bearden. Melrose caused 11 first half turnovers but controlled the ball to only commit 3 turnovers to nullify the rebounding disadvantage. Melrose had a 5-2 ratio on steals at the break also. White Station usually brings a nice crowd with them every year but Melrose's Orange Mound was definitely in the house as the Golden Wildcats were in force new and old. The Wildcats extended their lead as high as 8 points in the third quarter at the 2:01 mark of the third with Coach Jesus Patino of White Station trying to find a solution to his team poor offense with multiple substituting to gain momentum to no avail. Melrose closed the third quarter up 55-50 and in solid control for the time being. You know having Mr. Basketball, McDonald's All American and Memphis signee Joe Jackson (22 points, 8 rebounds, 6 assists, and 2 steals) was not going to let that happen just laying there. He is a warrior and showed why he received all the postseason accolades, Jackson sat out only 6 seconds of the entire game in the fourth quarter at the 5:00 minute mark after picking up his 4th foul. Another senior who has been their since the first day with Jackson is Missouri State football signee Julian Burton (12 points on 50% shooting and 3-3 from long range). White Station William Woodfork and Rodriguez Tucker notched important minutes and played strong coming off the bench in supporting roles. White Station tried to rally by getting the score down to 3 points (63-60) and the closest they would ever get with each time Jones snubbing out the effort and with Thomas in the wing. Key Points of The Game: White Station Andre Hollins and Nino Johnson scoring only 4 points each. At least Johnson grabbed 10 rebounds in the cause respectively. Chris Jones awesome free throw shooting down the stretch and the entire game. 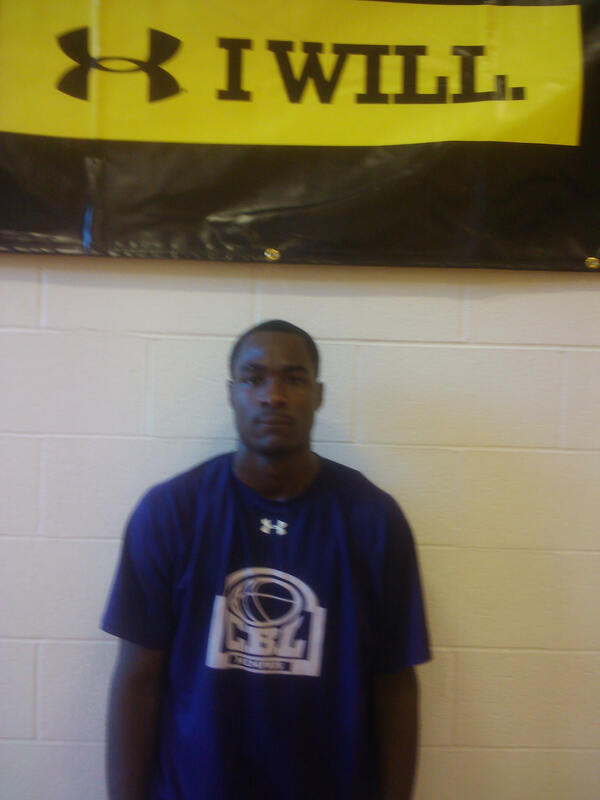 By Staff Writer Harold Rivera Posted 3-13-10 7:02 p.m.
Jemerio Jones in Las Vegas at Big Foot Hoops. 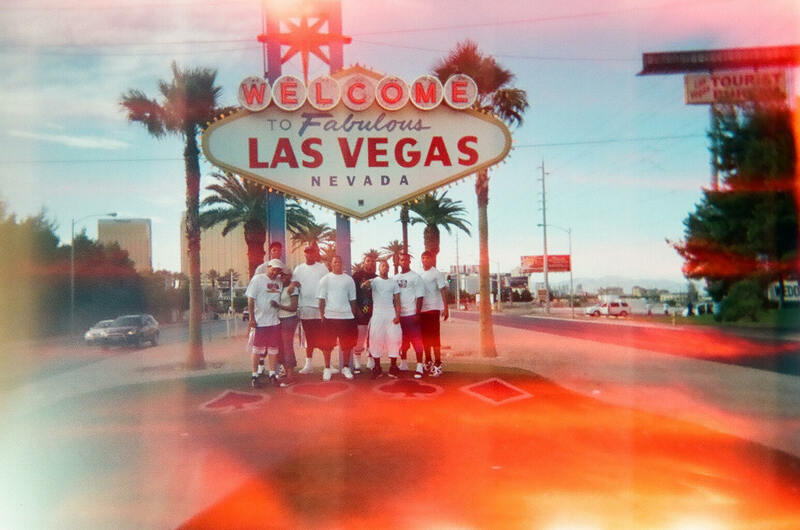 Old School Photo:n> MemphisHoopers.com 17's at Las Vegas in 2006. Class of 2006 is gone and another class with that type of nationwide clout will be another 10 - 15 years in the making.